Due to launch in China first in 2021, the Roomzz will join the I.D. family alongside models including the smaller Crozz SUV, the Buzz van/MPV, the Vizzion saloon revealed at last year’s Geneva and the Buggy. Like its counterparts, it’s built on VW’s MEB Modular Electric Drive Matrix platform; last week saw the Group announce that Seat is to take the lead on developing a smaller version of the platform for sub-£17k ‘affordable’ EVs. The concept car offers level 4 autonomous driving along with new seat configurations, high-quality materials and customisable light solutions, according to the brand. 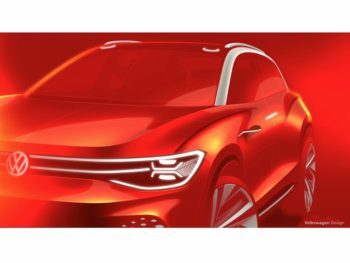 Its reveal comes three weeks after the Volkswagen Group announced that it’s ramped up its plans for electric cars with a new strategy to launch almost 70 new models in the next 10 years – up from the 50 previously planned. “The I.D. Roomzz shows us what we can expect from full-size electric SUVs in the future. The puristic look emphasises the clear function and the user experience is intuitive and natural,” commented Klaus Bischoff, chief designer at the Volkswagen brand.